I first became acquainted with Topher Browne when he appeared on the Ask About Fly Fishing podcast in 2011. I was preparing for my trip to the Kola River and I had many questions. Unfortunately, none of my questions made the show, but Topher was gracious enough to help me (at length) via email. We met a few months later at the Fly Fishing Show in Somerset, NJ, where we talked equally as much about salmon fishing as we did another shared passion, jazz music. Topher is a world-class angler, fly tyer, guide, spey caster, casting instructor (see the DVD “Spey to Z”) and is on the professional staffs of Sage, RIO Products and Patagonia. More recently, he has gained acclaim as an award winning author. 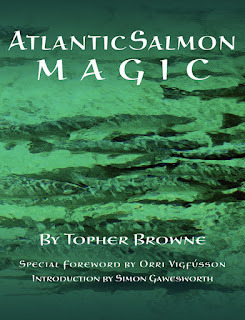 Atlantic Salmon Magic (Wild River Press, 2011) is a monumental contribution to the lineage of salmon fishing texts. Perhaps more than any other branch of fly fishing, Atlantic salmon fishing is steeped in tradition. Topher focuses as much on traditional techniques and strategies as he does on modern approaches from around the globe. For me, the best parts of the book occur when the areas of traditional methods and modern flies and equipment intersect (i.e. Chapter 8 - The Sunk Fly). Besides a wealth of information on salmon fishing essentials, a generous amount of the book is devoted to the biology of the salmon itself. 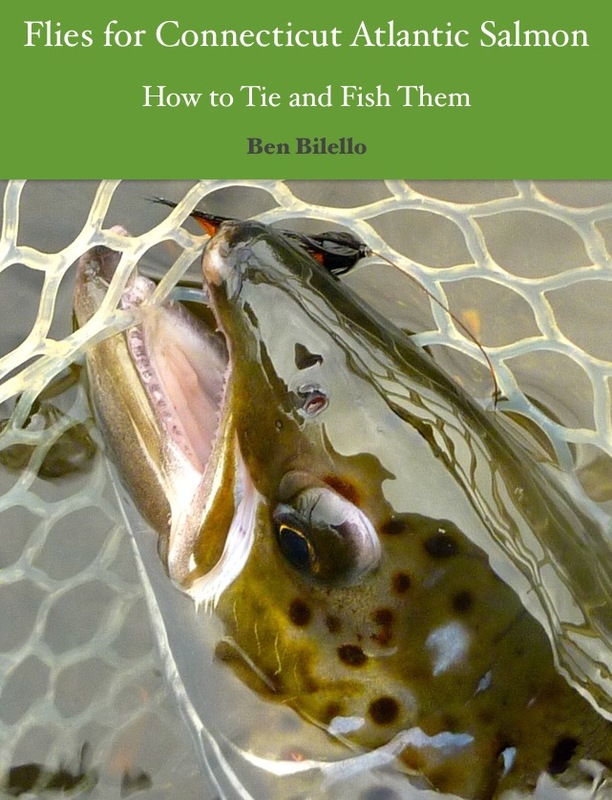 Add to that a chapter on salmon rivers worldwide and you have a book that appeals to all Atlantic salmon anglers, old and new. For fly tyers, Topher wrote a companion volume called 100 Best Flies for Atlantic Salmon (Wild River Press, 2012). 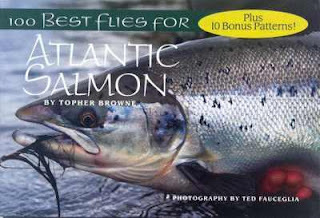 While most, if not all, of the flies within also appear in Atlantic Salmon Magic, 100 Best Flies for Atlantic Salmon shows each fly in much greater detail and is an easier-to-use benchside companion than the former. Tell us about your first Atlantic salmon fishing experience. How old were you and how did you get started? TB: I started fly fishing at 15 and fishing for Atlantic salmon in my mid-twenties. I hooked and lost a salmon on my first half dozen casts. Very lucky. I’ve been hooked ever since. How did studying with Warren Duncan help to shape you as a fly tyer? Are there any pearls of wisdom, unique to Mr. Duncan, that you might not have learned elsewhere? TB: Warren was an exceptionally efficient fly tier, absolutely no wasted motion at the vise. Fifteen thousand or more salmon flies per year will do that for you. His greatest lesson was to instill precision at the vise. If something was not right—proportions, material selection, general sloppiness—he would make you fix it before moving on. 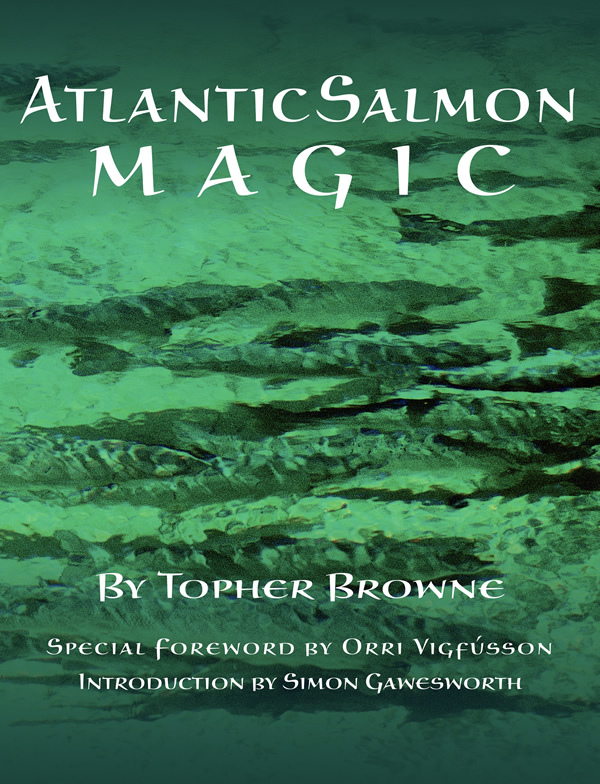 Your book Atlantic Salmon Magic is an engrossing and all-encompassing study of the sport. At what point in your fishing career did you decide the time was right to start writing? What was the most challenging aspect of the project? TB: I felt the time was right to put pen to paper when I thought I had a reasonable handle on why salmon do what they do and when they do it. I wrote the entire book with no notes, not even an outline. The hardest part was the layout—a lot of back and forth with the editor and the art director. It was not a painful process, but you can’t change one thing without that change affecting the layout for everything else. If you could convince a North American salmon angler to try one predominantly European technique or fly, what would it be? Which North American technique or fly would benefit the average angler based in Europe? TB: Most North American salmon anglers are not particularly good with the sunk fly. By contrast, most European salmon anglers are comfortable with sinking lines and sunk flies when conditions dictate. The average Euro angler could widen his horizons a bit by committing to the riffling hitch or even the dry fly when the conditions are ripe for either approach. The lack of any opportunity to fish for wild Atlantic salmon in American waters certainly doesn’t help draw young (American) blood into the sport. 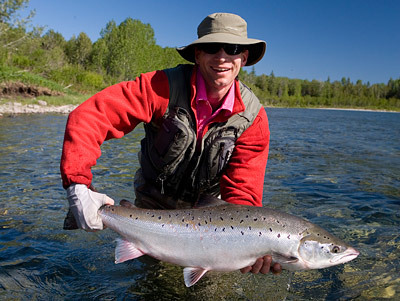 Where would you recommend a twenty-something angler start his or her Atlantic salmon journey? TB: All Atlantic salmon fishing (for sea-run fish) is currently closed in the United States. If I were getting started on a budget, I’d head to either the Matapedia or the Matane in Quebec. Lots of public water, good numbers of salmon, and reasonable fishing rates. What was your most memorable or unique salmon fishing experience? TB: Norway. I was mightily impressed with the size of the rivers, the difficulty of the fishing, the incredible scenery, the strength of the salmon and the fishing ability of the average salmon angler. They fish at a very high level over there. Where are you just itching to fish that you haven’t yet been? TB: I wish we had a salmon fishery here in Maine. We used to, and I miss it. I would also like to fish either or both the Kola and the Umba Rivers in Russia. Something about those rivers and that fishing really appeals to me. Give me your three desert island albums. TB: The complete recordings of Justin Bieber. Only kidding. I’d have to say Brad Mehldau’s latest, “Where Do You Start,” “Sketches of Spain” by Miles Davis, and “Fly” featuring Mark Turner, Jeff Ballard and Larry Grenadier. There is some sinfully good drumming by Ballard throughout, particularly on “JJ” and the Hendrix tune “Spanish Castle Magic.” Anyone who feels the double bass is a simple rhythm instrument should pay especially close attention to Grenadier’s soloing.